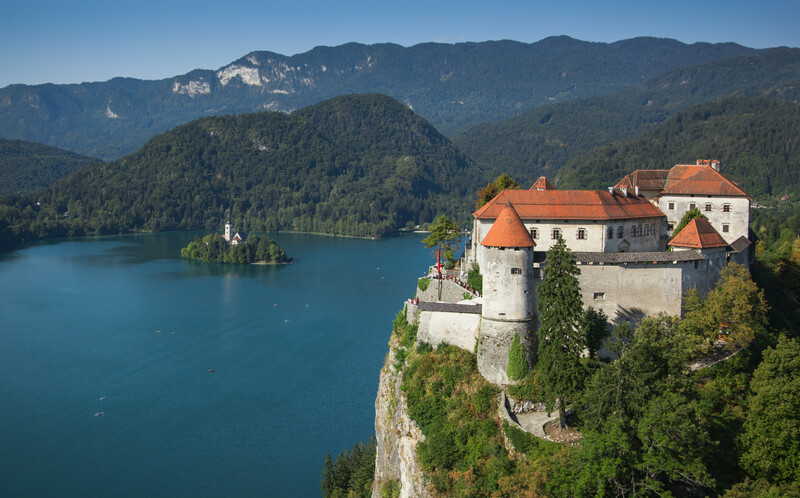 Hello and welcome to the audio guide to Bled Castle. To use it on your tour, follow the 'birds of paradise', which are small red panels with numbers on them that will take you to all levels of the castle: the lower, middle and upper courtyards. We hope you will enjoy the exhibits and tales of the people who inspired the history of this area, and marvel at the castle's iconic skyline and strikingly beautiful views over most of the Gorenjska region. We wish you a pleasant journey through the castle's history.